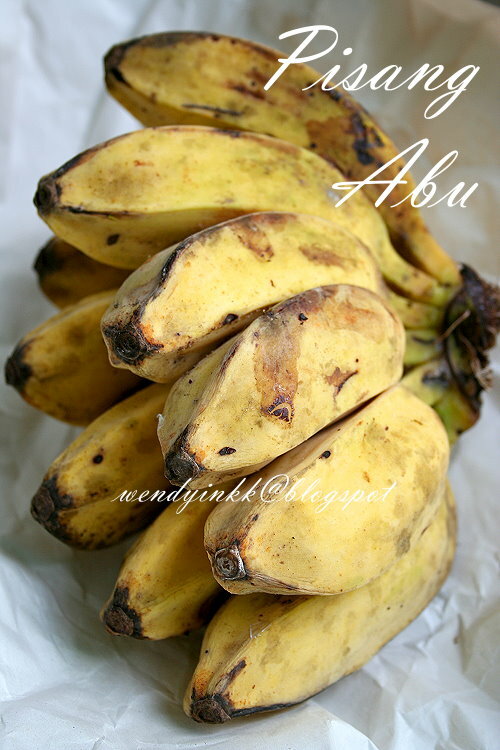 I used Pisang Abu to make this, and the name translates as Ash Banana. I have no idea the reason behind the naming, but it's one the popular bananas for frying. It CAN'T be eaten raw. Actually I wanted to get pisang awak (You Banana), my favourite type of cooking bananas, but I cannot get it. So, I made this as a Sunday snack, loved and enjoyed by my family. 1. Prepare batter. Sift both flours, baking powder and baking soda together. Combine the sifted flour with water and salt, go with 125ml first. 2. Heat up your frying oil. 3. Peel bananas, and half them. 5. 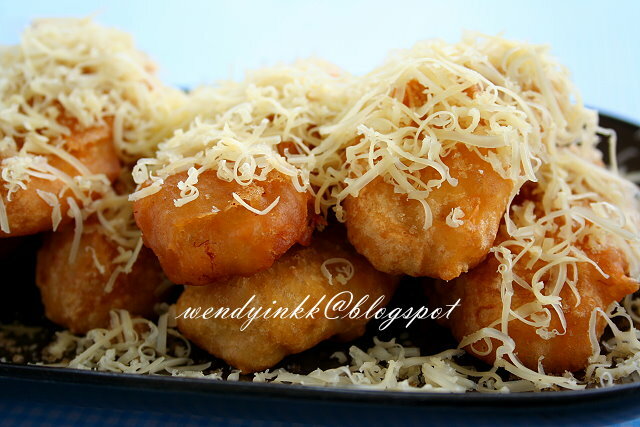 Serve with brown sugar and grated cheddar. Hi Wendy! 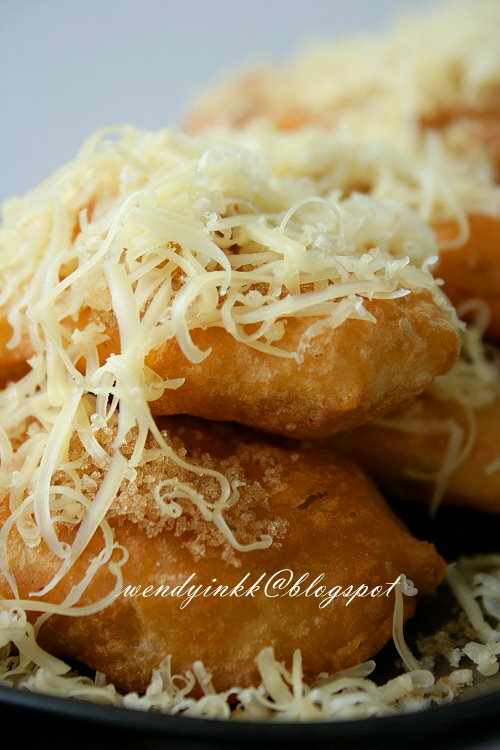 By sprinkling grated cheese on it, the humble goreng pisang gets elevated to another level! Yum! I dont really like banana but I sure wanna eat this! 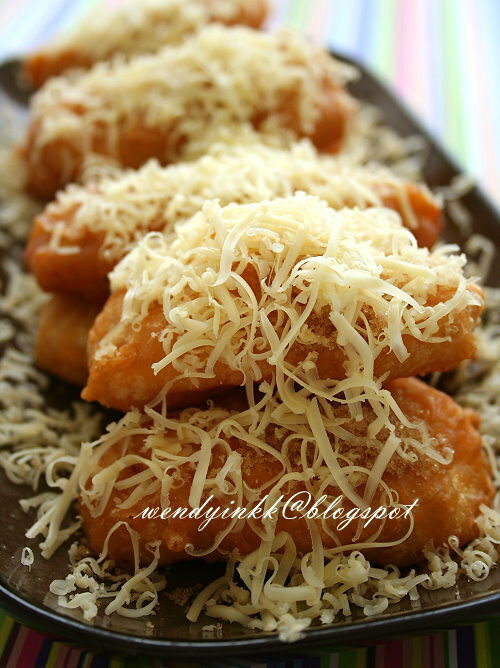 looks really good and all those little curls of cheese... super temptation! 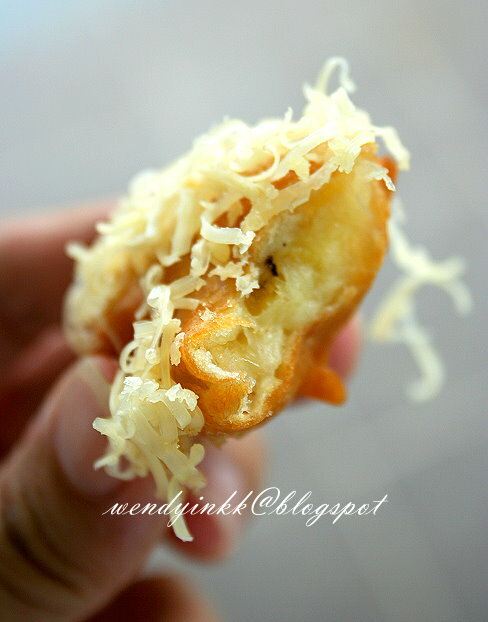 Didn't know that goreng pisang got cheesy version! Must be very sedap! Looks very delicious! Going to try out this recipe soon :) thank you for the support in MFF SABAH! May I know will it stay crispy after afew hours? LOL, what if I eat this squatting by the hawker stall? haha, joking. but they melt the cheese...maybe put in an oven for few second...n letak topping choc ganache..
wow, love your goreng pisang with chesse topping but not sure if can find this type of banana in singapore... great snack for the family! Me enamoré de esta receta se ve muy tentador muy sabroso,abrazos y abrazos.